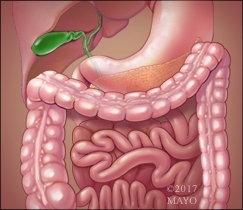 Welcome to the Mayo Clinic Gastroenterology & GI Surgery Page! With one of the largest group of digestive disease specialists in the world, Mayo Clinic has been recognized as the nation's best Gastroenterology & GI Surgery hospital by U.S. News & World Report. Follow the page to learn about clinical trials and up-to-date research, and find resources for all your gastroenterology needs. Our goal is to connect you to others, and become informed decision makers; so post a comment, share your story, own your health. The FDA recently approved of a biosimilar (CT-P13) to infliximab, which is used for treating IBD patients, as well as patients suffering from rheumatoid arthritis, ankylosing spondylitis, psoriatic arthritis, and plaque psoriasis. The new drug would be the first biosimilar monoclonal antibody approved in the United States. Dr. Edward Loftus, M.D., explains how biosimilars work, and discusses some of the issues surrounding this medication, and its potential benefits and drawbacks. For more information about IBD, visit mayoclinic.org/IBD. Dr. Loftus is a gastroenterologist at Mayo Clinic. Send an email to invite people you know to join the Gastroenterology & GI Surgery page.